October 1854. 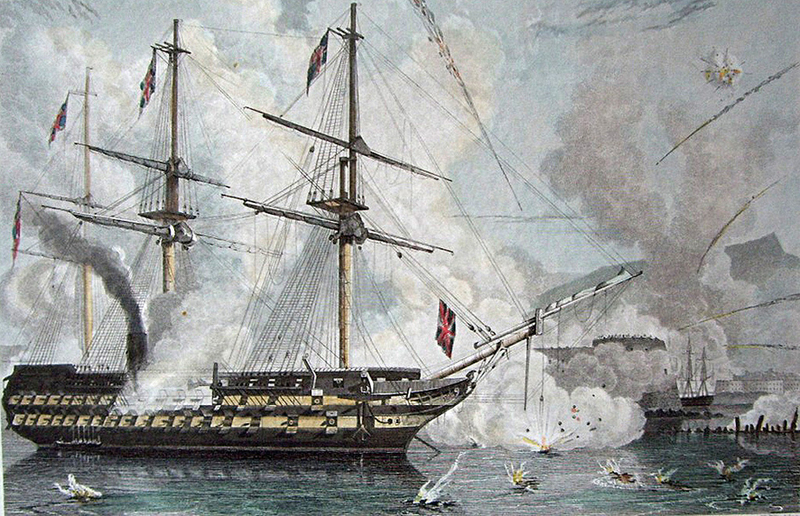 Raid of Sevastopol. Launch date: 22 May 1852. Displacement ( tons ): 4600 full load. Dimensions ( metres ): 70 x 16,9 x 7. Main machinery: Sail; steam Penn engine ( 600 hp ). - Upper deck: 22 x 32pdrs, 1 x 68pdr. Comment: She was the first British battleship completed with steam power.